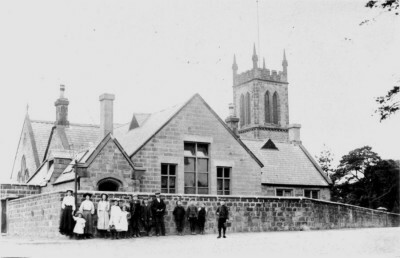 Fig.1 St, James Church, Codnor Circa 1920. In 1836 a report by the Lichfield and Coventry Diocesan Church Building Society identified the need to build more churches in several deprived districts. In the county of Derby were many very painful cases of destitution, one of which was Codnor in the parish of Heanor, containing 400 inhabitants, at a greater distance than two miles from the parish church of Heanor, and having no church accommodation whatever. In Codnor it was decided that a committee would be formed for the sole purpose of raising enough money to build a church and school room and to secure an ecclesiastical parish of Codnor and Loscoe. Previously these two villages fell within the parishes of Denby, Heanor and Pentrich. The Rev. J Wood, Rural Dean of Swanick Hall would be chairman and the following committee members would assist him. Mr Starbuck and Mr T Goodwin of Loscoe, Mr Samual Woolley of Codnor, Mr Jonathan Woolley of Ripley, Mr John Woolley of Crosshill, Mr W.H. Griffin, Mr John Godber, and Mr Samual White. NEW CHURCH AND NATIONAL SCHOOL ROOM FOR CODNOR AND LOSCOE, IN THE PARISH OF HEANOR, DERBYSHIRE. The Parish of Heanor contains up to 7,000 inhabitants, for whose accommodation there is only the Parish Church containing about 600 appropriated sittings. There are not any free sittings. There are in the hamlets of Codnor and Loscoe about 2000 souls, a considerable number of whom are between two and three miles distant from the Parish Church. There is not in the whole Parish a single Day School (except Dame’s Schools for children), nor is there a Sunday School in connection with the established church. The state of spiritual destitution is in some measure owing to the inadequate endowment of the living, which amounts to only £110 per annum, rendering it totally impossible for the Vicar to employ a Curate to aid him in his arduous duties. The inhabitants of Codnor and Loscoe have, therefore determined to build a Church with a School room attached, the patronage to be vested in the Bishop, the expense of which undertaking, together with £1000 for an endowment will amount to at least £2200. They have obtained the following subscriptions amounting to nearly £700, and now throw themselves most anxiously upon the sympathy of the Christian public, to whom they feel persuaded, that a stronger case than the present of spiritual destitution has seldom been presented. They hope that this appeal will not have been made in vain. Subscriptions to be received at the Nottingham and Nottinghamshire Banking Company; at Messrs Evans and Smith’s banks, Derby; or by any of the following gentlemen of the Committee, viz Mr Thomas Goodwin, Loscoe; Mr Jonathan Woolley, Ripley; Mr Thomas Starbuck, and Mr Samual Woolley, Codnor. Persons desirous of contracting for the erection of the church at Codnor, may see the plans and specifications for the work at Mr Clark’s the New Inn, Codnor. The committee engage to deliver upon the spot all the Stone, Bricks, Lime and Sand free of expense to the contractor, and to do all the excavating, digging and levelling of the ground. Tenders to be delivered in by the 30th instant. Lichfield Diocesan Church Building Society, confirm a grant of £300 to go towards the building of a new church in the Archdeaconry of Derby for Codnor and Loscoe. Fig.2 The appeal was also accompanied by a drawing of the proposed church and school room, designed to encourage people to donate money. 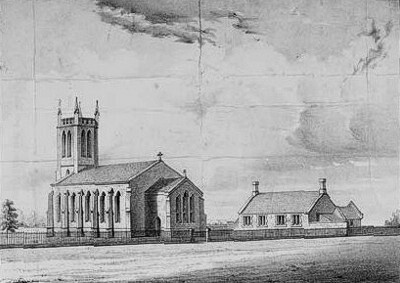 This perspective was drawn by the Architect Robert Barber of Eastwood in 1843. The church was to be built on land at Crosshill, donated by members of the Clarke family. Most of the stone used in its construction came from a quarry on Codnor Denby Lane. 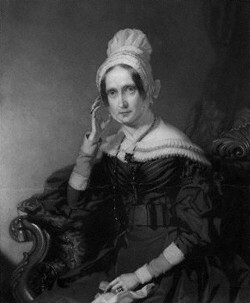 Fig.3 Dowager Queen Adelaide as a widow 1844. Many businesses and individuals made donations of money towards the building of the church and school including £20 from Queen Adelaide, wife of King William IV. She supported many Christian charities and gave away at least a third of her income to worthy causes. On Thursday, the 10th instant, the interesting and impressive ceremony of consecrating the new Church, at Codnor, dedicated to St. James, was performed by the Right Reverend the Lord Bishop of the Diocese. The Rev. J. Wood, of Swanwick, officiated as Chaplain to his Lordship, and the Rev.H. Middleton assisted in the service. His Lordship preached a sermon on the occasion from St. Luke‘s Gospel, the 16th chapter. and latter part of the 2nd verse, "Give an account of thy Stewardship, for thou mayest be no longer Steward”. 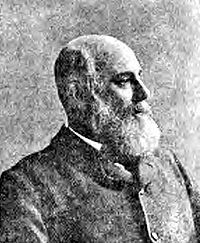 The sermon attracted the closest attention of the congregation present; it was indeed a discourse most admirable for clearness of style, purity of diction, soundness of doctrine, and adaptation to the occasion; and the able and impressive manner in which it was delivered, added still to its weight and effect. The collection of the day amounted to £36. 4s. 4d., and this sum was raised to upwards of fifty pounds on the Sunday following after sermons preached, in the morning by the Rev. H. Middleton, and in the afternoon by the Rev. J. Wood. It is gratifying to observe that this important undertaking is now brought to a conclusion. Upwards of £2000 have been expended in the erection of the Church and Schools; a sum, which it would have been impossible to raise in so indigent a neighbourhood, had it not been for the assistance of those kind friends at a distance who have so liberally and cheerfully lent their aid. And surely this kindness must merit the gratitude and deserve the best thanks of those for whom it is intended. It is also to be hoped that the inhabitants of this district will duly appreciate the high privileges held out to them in the provision thus made for their spiritual wants, and, indeed, for their temporal comforts; for, as the church under God's blessing will provide for the one, so the school, by imparting instruction to the young and directing them in the way of duty, will naturally promote the other. The church is built of stone, in the gothic style, consisting of chancel and nave, and an embattled western tower, with pinnacles, containing one bell. The church originally had capacity to seat 400 people, 250 seats being free and unappropriated. A new Chancel and Vestry were added in 1890 and alterations to the gallery increased the seating capacity by a further 117 seats. The following newspaper article describes how a time capsule is placed under the foundation stone of the new chancel. The foundation stone of the new chancel for St. James's church, Codnor, was laid on Thursday afternoon by Sir William Evans, Bart. There was a large attendance, and a short devotional service took place upon a raised platform at the rear of the foundation stone. 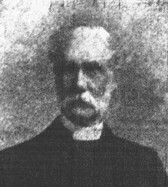 Amongst those present were Sir William Evans, the Rev. 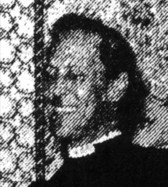 W. Bates (vicar of Codnor), the Rev. 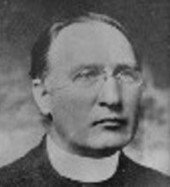 H. Wright Bates (curate), the Rev. C.R.Round (Ripley), Mr F.C.Corfield, &c.
The article then explains how the architect of the new chancel, Mr John Holden, describes how a time capsule in the form of a glass bottle had been deposited under the foundation stone. The Church of Saint James, Codnor, in the Diocese of Southwell. This stone was well and truly laid to the glory of God and in His service on the 10th day of July, in the year of our lord one thousand eight hundred and ninety, by Sir Thomas William Evans (Baronet), of Allestree Hall, in the presence of the undersigned and of others. The additions to the church, which are represented by this stone are the chancel, vestry, and north porch, and the chancel arch, the pulpit, reading desk, choir stalls, and the whole of the seating in the body of the church. The original building and the present altered building are shown side by side on the drawing attached to this document. The district connected with this church at this date is a very poor one, consisting mainly of miners, iron workers, and other operatives, and the amount required to justify the commencement of works now under contract has been collected in small sums by the vicar, wardens, sidesmen, and others interested. It is hoped that the balance required will be forthcoming, so that the building may be re-opened at the completion of the works free from dept. Signed-William Bates (vicar), Herbert Wright Bates (curate), Thomas William Evans, Bart., Frederick C. Corfield, William Taylor (wardens), Thomas Farnsworth, Samuel Peake, John Woolley, Samuel Severn (lay representatives), Thomas Rowe, John Shelton, James Meakin, William Thorton, (sidesmen), William Floyde Pine, Arthur Floyd Pine, John Holden (architect), Manchester, and Samuel Warburton (contractor), Manchester. The following paragraph is taken from Joseph Millot Severn’s book, My Village. When I was a youth Codnor Church was lighted with oil lamps, swinging from the roof, and candles on each side of the pulpit. There was then the old fashioned, high, polished oak and walnut, closed in pews, which were all cleared away for more modern open pitch pine seating, and so the venerable appearance of the interior of the church was spoiled. 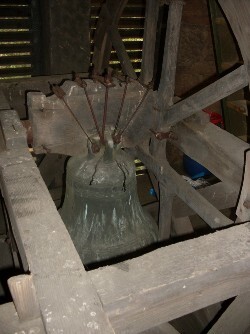 Fig.6 The tower contains a single bell, which came from St Mary’s old church Eastwood. An entry in the church wardens accounts of St Mary’s dated 14th October 1858 indicates that the “old bronze bell” was sold to St James church Codnor for a price of £26.9s.7d. The bell is inscribed with the words “GOD SAVE THE QUEEN, 1713” and it has been suggested that it was originally a ships bell. However the foliage border around the bell indicates that it was made at the Oldfield bell foundry in Nottingham. The bell was most likely cast to hang in the original medieval church of St Mary’s and then later re-hung in the newer brick church that was built in 1764 were it remained until the building was demolished in the 1850s. Fig.7 This is an illustration of the foliage border on the St.James church Bell. This was a trademark decoration used by the Oldfield bell foundry in Nottingham. At the time this bell was cast in 1713, the foundry was run by George Oldfield II who was responsible for the manufacture of many church bells in the Nottingham, Derbyshire area. 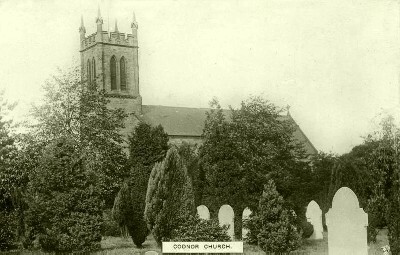 CODNOR On Sunday, the 3rd Dec, 1876, special sermons were preached in Codnor Church, on the occasion of the re-opening of the organ, which has undergone considerable repairs and enlargement. The morning sermon was preached by the vicar, and that in the evening by the Rev. W.E. 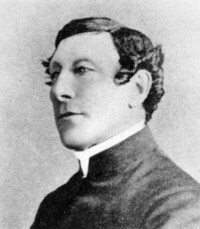 Bradstock, vicar of Ironville. A collection was made after each service to complete the organ fund and to meet the ordinary quarterly expenses. Apparantly the organ had been out of use for some time and had just been renovated in November 1876 by Lloyd & Co of Nottingham, total cost £70. 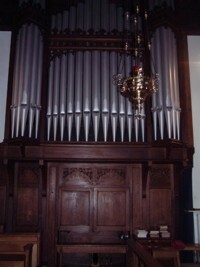 According to the National Pipe Organ Register, the original organ of St. James Codnor was transferred to St Andrews church, Langar in 1906. 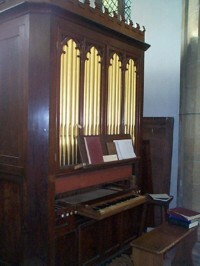 Fig.10 The present organ was installed by Messrs Abbott & Smith of Leeds. 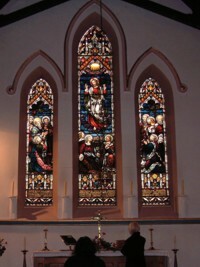 Fig.11 The East stained glass window was erected by the Woolley family, and is inscribed with the following words. "To the glory of God and in loving memory of George Woolley of Egreaves House, Loscoe, who died May 19th 1879 aged 61 years. Also of Mary Ann, his wife who died February 23rd 1895 aged 69 years, and of Laura Sarah, daughter of the above, who died October 25th 1884, aged 36 years. This window erected by Jonathan William Woolley M.A., James John Arthur Woolley J.P., and Edith Mary Woolley, sons and daughter of the above, July 1896". The Rev. 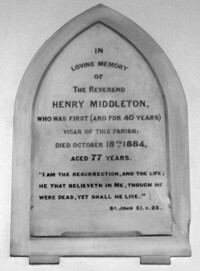 Henry Middleton,forty years vicar of Codnor Church from its consecration in 1844 until his death, was in many respects a very remarkable character. He was certainly a man of mental capacity of high intellectual range, and always accounted a learned preacher, but not well understood. He possessed great dignity, sense of propriety, independence, disliked, condescension, was a strong adherent to principle, and kept everyone up to a high standard of what he conceived to be right; he tolerated no excuse; had exalted ideas of his profession and calling, and on this account expected homage to be paid to him; and was prone to carry his conscientiousness and sense of justice to excess. Thus he preached too much of condemnation, and not enough of salvation, was almost devoid of ingratiating capacity, restricted and tardy in his friendly associations, and much as he wished to do good, he stood out and apart from his parishioners, which made him difficult of approach. He had a large, high head, prominent features, accentuated by their length; he had no beard, eyebrows or growth of hair, but was immaculately clean; his wig was glossy black, and his broadcloth of the finest quality and perfect in fit, and he always wore a beautiful silk hat; and woe be to the schoolboy who omitted to raise his cap should he on any occasion meet the vicar. Here is a complete list of Vicars for St. James Church starting from its consecration in 1844, right up until 2002 when there was no vicar for a year. Prior to accepting the vicariate of Codnor and Loscoe, Rev. W Bates was curate of St John’s Ripley. During his thirty years as vicar he solemnised 730 marriages, the first one being on 26th December 1884. In June 1911 he was presented with gifts of an easy chair and dressing bag as tokens of appreciation for his long service. He retired in December 1913. 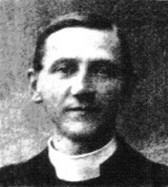 Ordained deacon in 1901 and became a priest in 1902. After leaving Codnor he accepted the living at St. Bartholomew's, Clay Cross. Previously curate at Newark-on-Trent Parish church. He served in the army in France between 1915 and 1919. He Was a keen cricketer and played for the Derbyshire Friars and was on the committee of the Derbyshire Cricket Club. Resigned in 1934. 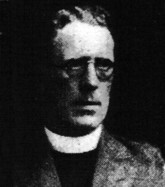 Previously curate at Harwich in 1918 and later vicar of All Saints. 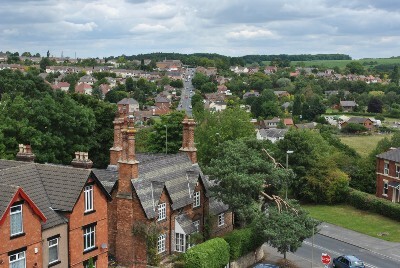 Marlpool and Caunton, Newark-on-trent. He suffered a Heart Attack during Sunday service at Codnor and died a few days later. Ex Navel Chaplain and previously curate of Arbourthorne, Sheffield. 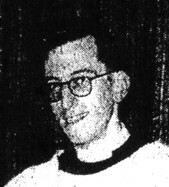 1961 - 1963 Rev. 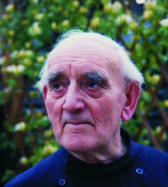 John Nowell Capstick, Previously curate of Buxton. After Codnor he left to be curate in charge of Rawthorpe. previously assistant curate of St. Mary and St.Leonard, Wallingford. Originally from India he travelled to the UK in 1983. 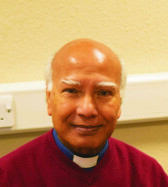 He served his title at St Lawrence, Heanor in 1985 after studying theology at Ridley Hall, Cambridge. Codnor and Loscoe was his first incumbency where he stayed for 17 years. After he left he became vicar of Winshill and Minister responsible for Bretby.